Armed police have descended on a street in Manchester following reports of an assault. 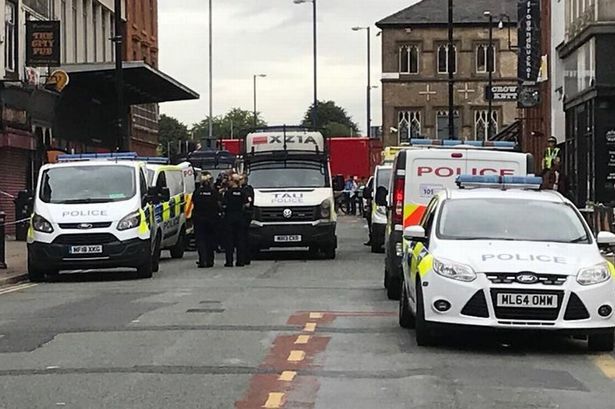 Worried locals say the roads have been closed off in the Northern Quarter of the city, and a standoff is believed to have been going on for nearly two hours. Police say they were called to reports of an assault on Oldham Street in the city centre at around 11.45am. Witnesses say several items, including milk bottles, have been thrown from a second floor window above the street, the Manchester Evening News reports.